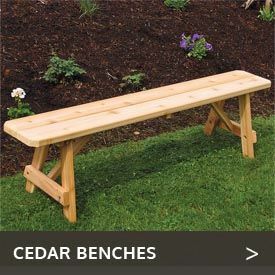 The outdoor cedar, pine, fir and redwood garden benches available at Cedarwood Furniture are perfect for quiet contemplation of your tranquil garden, of course. But these beautiful benches are so versatile; you can find many other uses for them, if you wish. 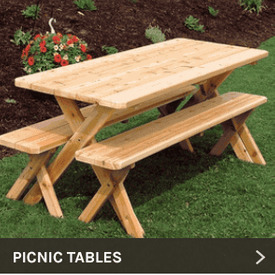 With our big selection of styles and sizes, you can locate a bench for practically any application. Put a high-back cedar bench on your porch or patio to share drinks, snacks and conversation with friends and family. Our cross-legged benches are great for picnics. We even have five-sided tree benches made to let you and your companions enjoy shade from your favorite tree in your yard. If you love saunas, our durable cedar sauna bench will help you enjoy years of healthful sauna sessions. No matter which bench or benches you choose, you will reap the benefits of the natural beauty and sturdiness of pure wood. 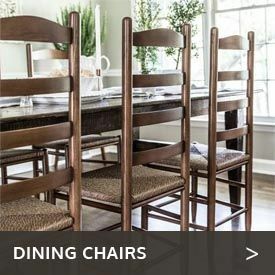 Choose from gorgeous woods including redwood, cedar, pine and fir. We carry benches ranging from 2 feet to 8 feet, letting you suit practically any space or number of sitters. Villa Cedar Garden Bench: 4ft. - 5ft.